Area: 16513 sq km. Location: The Bitterroot Mountains are the largest componennt of the much larger Bitterroot Range. 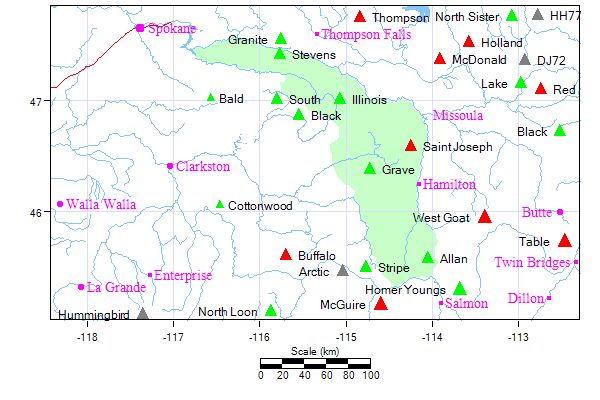 They lie to the SW of Missoula, north of the Salmon River and west of its North Fork, and west of the Bitteroot, south of the Clark Fork and the St Regis.